Going to a Sri Lanka Swimming Pool is increasing specially within the elderly population sectors of Sri Lanka, who have suffered some type of muscle or bone damage. Are you a standard swimmer? Have you ever practiced Aquagym in Sri Lanka? Let us know!. 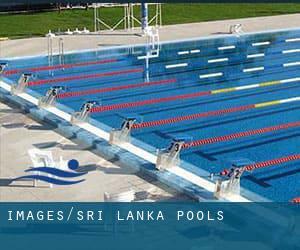 Most from the Sri Lanka Pools offer both open lanes for independent swimming and also guided activities like water aerobics or Aquabike. Please contact the sports centre in Sri Lanka to check which activities are becoming provided and their timetables, given that Sri Lanka Pools might possibly have diverse rules and fares than other places. We probably do not know all the Pools in Sri Lanka. Are you missing any? Contact us!. For Sri Lanka and its vicinity, we're showing you all the registered pools, some of them have no GPS coordinates and cannot be discovered on the map at the map. One on the advantages of outdoor swimming in Sri Lanka is the possibility to sunbathe for the duration of the summer season. Taking it with added care, sunbathing is healthful because introduces Vitamin D into the body, so the most beneficial alternative seems to be switching between indoor and outdoor pools based on the season. Whereas Colombo is one of the six most populous cities in Sri Lanka with nearly 648.034 residents, you shouldn't miss that one if you're going to Sri Lanka. Let us tell you a secret to switch off while you might be in Galkissa: just pick out a Swimming Pool in Galkissa and plunge into the water! There's no much more beneficial process. It's hard to visit Sri Lanka with no dropping by Moratuwa (with 185.031 residents). At present Swimia is showing you all the Swimming Pool in Moratuwa along with the closest pools located in its vicinity. Swimming is a terrific idea to keep your body active in the course of your visit to Jaffna (Sri Lanka), or perhaps if you are a local. Swimia helps you to find your closest Swimming Pool in Jaffna. Updated on 2019 St. Joseph´s College , T. B. Jayah Mawatha (Darley Road) , Colombo (Postal Code: 10). Swimmers like you reported Olympic size, 6 lanes, Outdoors. Phone number and e-mail address are number for this Pool. 100 Hotel Road , Mount Lavinia . This sports centre delivers 20 meters (+/-), Outdoors. Contact information and facts for this Pool like phone number and email address are number. Dalada Veediya , Kandy . Among all of the activities provided by the centre, if you are interested in swimming you will appreciate 17 meters, Outdoors. If you need to get in touch with this Swimming Pool, e-mail address and phone number are both number. 2 Sir Chittampalam A. Gardiner Mawatha , Colombo (Postal Code: 2). This sports centre delivers 27 meters x 17 meters, 2.5 meters maximum depth, 2.5 meters maximum depth, Outdoors. Contact knowledge for this Pool such as phone number and e-mail address are number. Updated on 2019 115 Chittampalam A. Gardiner Mawatha , Colombo (Postal Code: 2). Among all of the activities offered by the centre, when you are interested in swimming you will appreciate 30 meters+/-, Outdoors. Just in case you need to make contact with this Swimming Pool before dropping by, we only know the phone number. Updated on 2019 By the Tissa Tank (Lake) , Tissamaharama . This sports centre gives 20 meters (+/-), 3.05 feet - 7 feet depth, Outdoors. For this Swimming Pool, only phone number is number here. Updated on 2019 Galle Face Road , Colombo (Postal Code: Unknown). Among all the activities supplied by the centre, in case you are interested in swimming you will take pleasure in 100 feet, 3 lanes, Outdoors. If it is advisable to contact this Swimming Pool, email address and phone number are both number.